QSR Magazine reports the flagship location will be at the Walt Disney Resort in Lake Buena Vista, Florida, with other outposts to follow. 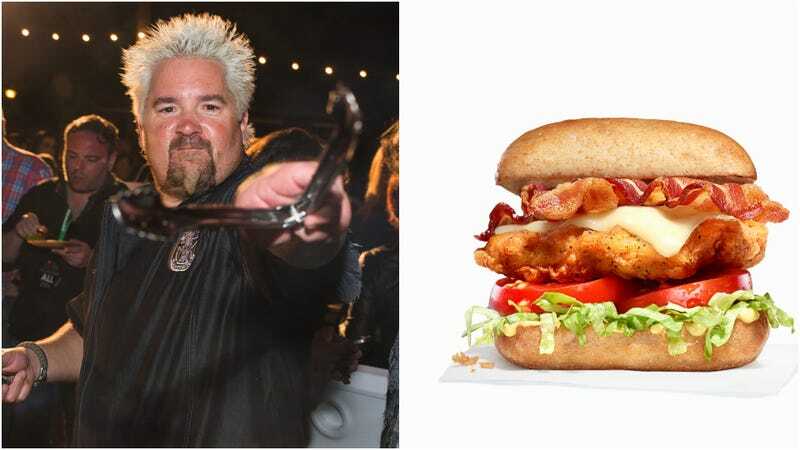 “It’s all about the real deal, all-natural chicken, but let me tell you, our sauce game is on point,” Fieri tells QSR. One would expect his signature Donkey Sauce will be on the menu, and if not, why not Guy?! Fried chicken is actually the perfect Fieri food: it’s hot, seasoned, spicy, indulgent, often messy, and sort of a guilty pleasure. Actually, as we’re all unironic Fieri enthusiasts at The Takeout, we feel no guilt at all that he’s a pleasure. We wish Guy! nothing but the best in his new endeavor.